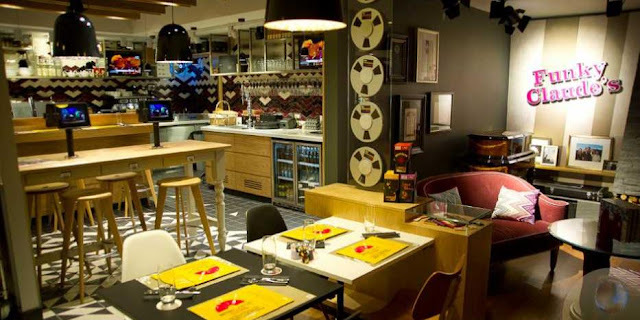 In July of this year Harrods launched the Montreux Jazz Café, an offshoot of the hugely popular jazz festival held in Switzerland every year. It's a concept born out of the passion for music and simple dining shared by founders and friends Quincy Jones and Claude Nobs. The Montreux Jazz Festival was originally created by Claude Nobs in 1960 and is held annually during early July on the Lake Geneva shoreline. It has played host to some of the world’s biggest jazz stars including Nina Simone, Ella Fitzgerald and Ray Charles, as well as artists from many other genres such as Deep Purple, Prince, Etta James, Status Quo and Eric Clapton. Today, it is the second largest annual music festival in the world after Canada's Montreal International Jazz Festival and is held over two weeks, attracting an audience of more than 200,000 people from all over the world. The new 70-seat restaurant at Harrods was designed by a team of acoustic engineers to offer the best in sound technology. In the lead up to the 2013 Festival, the Montreux Jazz Café at Harrods will play host to a series of live, unplugged jam sessions, offering a unique opportunity to hear new and upcoming artists. Exceptional food will remain a key part of the experience. From the air-dried beef and Caviar pancakes to sweet and sour lobster salad and decadent puddings, guests are sure to experience a wide range of innovative dishes. Specially chosen partners such as Parmigiani, Leica, Château Haut-Brion and Label Ecriture are allowed to showcase specially branded editions. 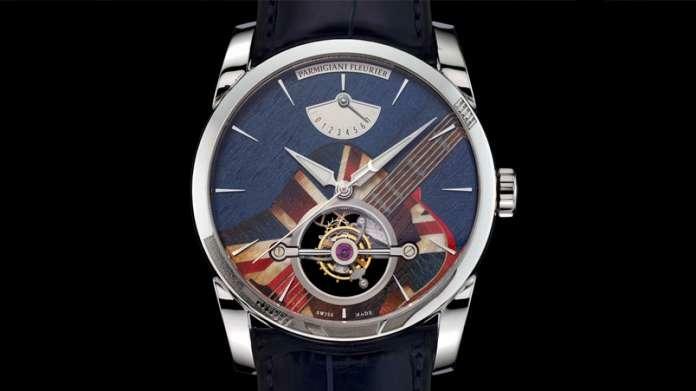 Included within these luxury items is a Parmigiani Tourbillon Wood Rock watch, featuring a wooden dial engraved with a Gibson Union Jack guitar. Priced at over £200,000. So where do you get one? Well, you don’t it’s a one off, no other pieces exist. 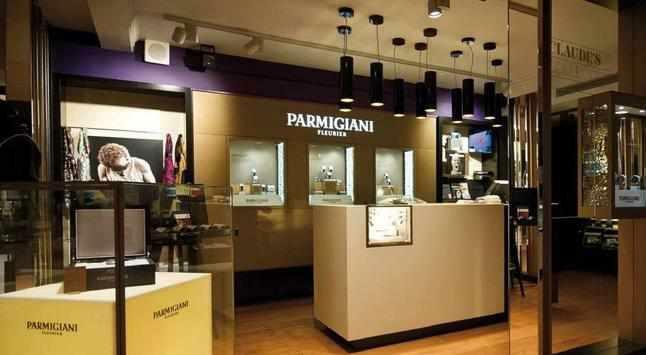 The watch takes pride of place in the Parmigiani Fleurier Corner and is the focal piece of ‘Claude’s Collection’. It features an exquisite wooden dial, engraved with a Gibson Union Jack guitar, enclosed in a rounded Tonda case with large hallmark Parmigiani lugs. The closest you can get to the watch is viewing it through the window of the showcase on the third floor of Harrods in Knightsbridge, London.